An IBD treatment targeting key cytokine components appears to alter the microbiome in mouse models of IBD. What's the connection? Cytokines have been implicated in the pathogenesis of inflammatory bowel diseases such as Crohn's disease and ulcerative colitis, and modulation of cytokines is one therapeutic strategy. 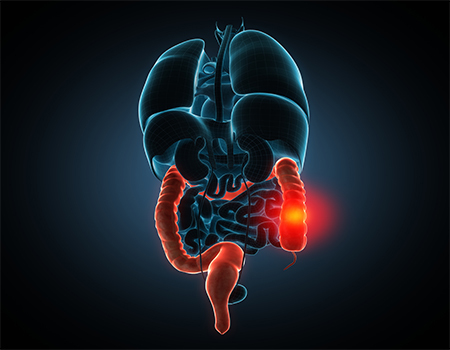 Ustekinumab, an antibody that targets IL-12p40 and a component of the cytokines IL-12 and IL-23, demonstrated clinical efficacy against Crohn's disease, and Janssen has asked the FDA for approval of the drug for treatment of Crohn's. Anti-Il12p40 antibodies also demonstrate efficacy in mouse models of IBD. The adoptive transfer colitis model involves transfer of Cd4+ T cells from a donor mouse to a syngeneic recipient mouse, which lacks T and B cells. The recipient is commonly a Rag2 knockout or scid mouse on the same strain background as the donor mouse. The adoptive transfer model of colitis has been reported to work on both the C57BL/6 and BALB/c strain backgrounds. IBD Treatments Affect Gut Microbiota... But How? While there is some systemic connection between IBD and gut microbiota, the exact mechanism requires further research. Gut microbiota dysbiosis, for example, has been observed in patients with inflammatory bowel disease (IBD), including reduced bacterial diversity and altered gut microbiome composition1, but the relationship doesn't appear to be causal. Rather, dysbiosis appears to contribute to a feedback loop which fosters the disease once inflammation begins. To better understand the relationship between Anti-Il12p40 antibodies and gut microbiota, Castro-Mejía et al. set up an adoptive transfer colitis model using BALB/cAnNTac mice as donors and C.B-17 scid mice as recipients2. Transfer of Cd4+Cd25- T cells caused colitis in the mice with disease symptoms observed by 3-4 weeks post-transfer. Mice treated with a neutralizing antibody against mouse Il-12p40 did not develop weight loss, and their overall disease score was lower than isotype or NaCl-treated controls. Mice treated with the therapeutic antibody had minimal disease and displayed a gut microbiota composition that was similar to healthy scid controls. Isotype or NaCl-treated mice had active colitis and a microbiota with shifts in taxa abundance compared to the healthy and anti-Il-12p40-treated mice. However, overall diversity of the gut microbiota was not altered by the anti-Il-12p40 treatment. Much more research is needed into the role of the gut microbiome in IBD. While the study demonstrates a connection between cytokine modulation, microbiota taxa shifts and the presence or severity of IBD pathology, the mechanics of this connection remain unclear. What is clear is that a better understanding of this interplay will open new opportunities for advancement in IBD therapies. The Crohn's & Colitis Foundation of America has established a Microbiome Initiative to study the interaction of the microbiome with Crohn's disease and ulcerative colitis. The Initiative's ultimate goal is "the translation of new insights and discoveries into specific strategies for microbiome-targeted interventions that more effectively treat, and may even prevent, IBD." 1. Matsuoka, K., & Kanai, T. (2015, January). The gut microbiota and inflammatory bowel disease. In Seminars in immunopathology (Vol. 37, No. 1, pp. 47-55). Springer Berlin Heidelberg. 2. Castro-Mejía J, Jakesevic M, Krych Ł, Nielsen DS, Hansen LH, Sondergaard BC, Kvist PH, Hansen AK, Holm TL. (2016) Treatment with a Monoclonal Anti-IL-12p40 Antibody Induces Substantial Gut Microbiota Changes in an Experimental Colitis Model. Gastroenterol Res Pract. 2016:4953120. ← Does the Microbiome Affect Behavior in Germ-free Mice?